Are you in need of professional demolition services in Mishawaka and South Bend, IN? 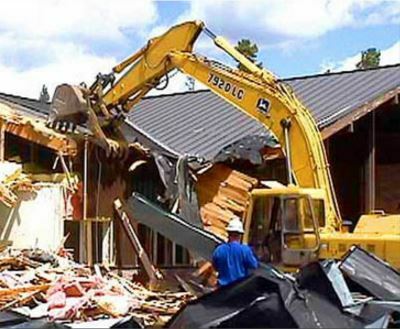 We offer superior demolition services for your property management needs. What happens when you want a reliable service provider who will help you take down unwanted buildings safely and efficiently as well? Well, an excellent suggestion for you at such a point in time would be to contact Mishawaka Demolition, we are local demolition contractors to help you with your unique complications. While demolition might seem like a relatively simple task for most individuals, it does require the competence and professionalism of an experienced service provider to get the job done right and with the appropriate results for your unique needs. To be specific, most demolition procedures are often complex process that requires the use of special skills and equipment to ensure the property goes down as planned and without harming anyone in the process or perhaps causing any injury to individuals. For those who are not aware, property demolition, especially in the contemporary or urban setting is a demanding job that is best left to professionals such as us. We are the best demolition contractors in South Bend, IN. We have the experience, knowledge and the equipment to complete the demolition process as quick as possible, so you set up your new projects. We are professional and superior quality commercial demolition contractors. The first important aspect relating to our services is the fact that we are one of the top rated demolition service providers in the industry today. This is because we pre-screen all our staff members and our engineers to ensure that the oversee the demolition procedure with the ideal results for your needs. Furthermore, we not only have to staff members who are well trained and highly competent, but they also have sufficient experience when it comes to taking down unwanted pieces of property without damaging the structure of the land or perhaps any other buildings that may be close by. Further lending to our superior services if the fact that we are highly certified, and we are affiliates of the National Demolition Association Members. The added benefit is that we are readily available and all you simply need to do is to reach for us at our designated website or perhaps reach for us on our contact lines as well. You can also reach our company by locating our contacts in the national Demolition Association member directory, where we are listed as one of the industry leaders when it comes to providing clients with value for their time and money. As one of the reliable and credible demolition contractors in South Bend, IN, we provide our clients with dynamic services and not the only demolition of property and unwanted structures. To be specific, we can also cater for a broad spectrum of additional property managements services for the clients including providing them with advice on property management and also clearing the land in preparation for new development of structures. The entire procedure is often completed as quick as possible such that you can be able to kick start your new projects as soon as possible. Worth noting is that we at Mishawaka Demoliton also use special demolition equipment and tools that are regularly serviced to ensure optimal functionality when it comes to delivering results on your property. You will also appreciate knowing that our team of staff has special knowledge and training when it comes to handling these types of machines, such that we are the only informed choice that you can ever make for your property. The added benefit is that we promote our Mishawaka Demolition company ethos by ensuring that all our clients are benevolent and incorporate your unique requirements when it comes to the completion of the project. Timely responses and affordable service packages is what we are all about. 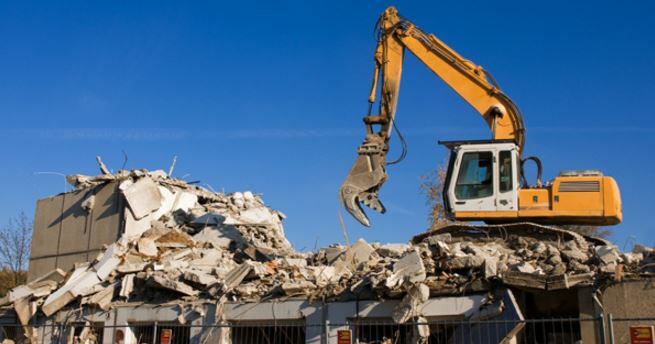 Perhaps the most notable aspect of our services at Mishawaka Demolition is that we provide all of our clients with timely responses to any of our unique commercial or residential demolition contractor queries. In fact, our staff members have various call lines available where one can easily reach them during the working hours and obtain a solution for their demolition requirements. We know how much you value timely responses not only when it comes to addressing your questions and concerns, but also when it comes to completing the job such that you can kick start your new project early enough. On top of that, we also provide our clients with a broad spectrum of pocket-friendly demolition pricing packages, such that even those who are on a stringent budget are more than likely to enjoy our state of the art qualities. Another important aspect of our demolition services is that we work to ensure that the clients are more than happy with the final results. In fact, we are rated as one of the industry leading demolition contractors Mishawaka, IN. An important aspect of our services, unlike the conventional demolition companies, is the fact that we work to ensure that you as the client are more than satisfied with our work. 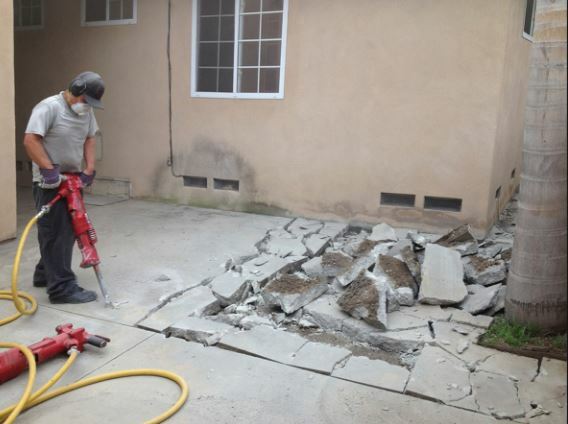 By the same token, unlike other demolition service providers that you may come across on the consumer market today, we tend to prioritize customer satisfaction above anything else. For instance, we save you the hassle of cleaning the site after the demolition procedure, and we also provide you with supplementary information on how to utilize your new piece of property and make the best possible use of the given piece of property. We are also in the market as one of the several demolition companies hiring staff members who have the passion and the determination to provide clients with the value they deserve. The added benefit is that you receive a well-rounded pay package and accolades form our companies management for outstanding job results. 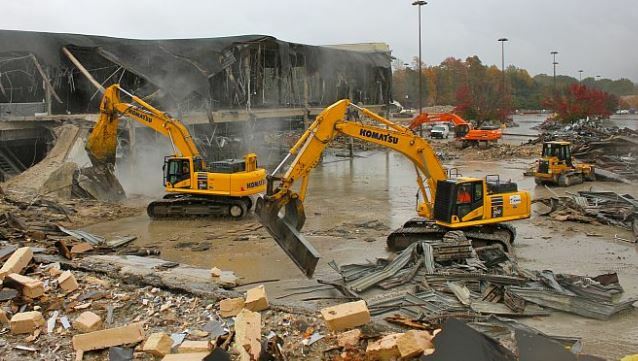 All things considered, when it comes to completing demolition jobs, it's important that you make an informed decision with our demolition contracting company. We are highly experienced, have the staff with special knowledge along with state of the art equipment. In this way, we not only guarantee the completion of the project on time, but with the ideal result for your unique property management needs.